Suzanne Cory, one of Australia's most distinguished molecular biologists, has had a major impact on the understanding of immunology and the development of cancer. Her current focus is on how the opposing factions of bcl-2 family arbitrate cellular life or death. This knowledge is leading to the development of more effective therapeutics for cancer and degenerative diseases. Suzanne Cory was elected a Fellow of the Australian Academy of Science in 1986, a Fellow of the Royal Society in 1992, a Foreign Member of the US National Academy of Sciences of the US in 1997, a Foreign Member of the American Academy of Arts and Sciences in 2001, an Associate Foreign Member of the French Academy of Sciences in 2002 and an Academician of the Pontifical Academy of Sciences in 2004 and an Associate Member of the European Molecular Biology Organization in 2007. Her scientific achievements have attracted numerous honours and awards, including the Burnet Medal of the Australian Academy of Science in 1997, the Australia Prize (joint recipient) in 1998, the Charles S. Mott Prize (joint recipient) of the General Motors Cancer Research Foundation in 1998, a L'Oréal-UNESCO Women in Science Award in 2001, the Royal Medal of The Royal Society in 2002 and the Pearl Meister Greengard Prize in 2009. In 1999 she was appointed Companion in the General Division of the Order of Australia and in 2009 she was awarded the French decoration of Chevalier de l’Ordre de la Légion d’Honneur. 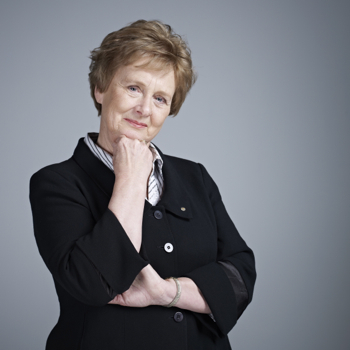 In 2010 Professor Cory became the first woman to be elected President of the Australian Academy of Science.